Handcrafted in yellow, blue and white over a terracotta background, Mexican tile "Aguascalientes" creates stunning and playful design fitting a kitchen backsplash or patio decorations. Its floral pattern will look amazing, among others, installed as a table top in your garden. We have two standard sizes for you to choose from, just select from 'Tile Size' menu. 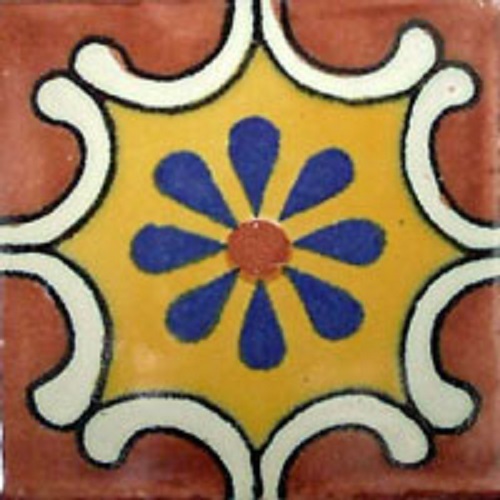 It is a great looking colonial style tile from Mexico. The pattern can be appreciated only after placing at least a dozen of tiles together.